How the GANE project helped small-scale farmers in Nicaragua build a more competitive and inclusive livestock sector. 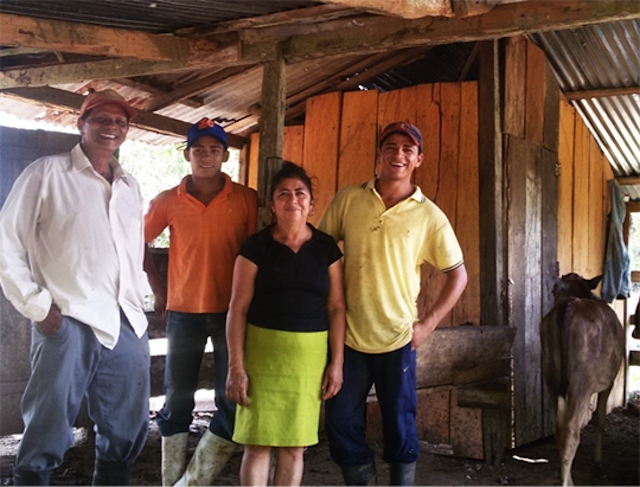 Santos Velasquez, a GANE participant and rancher, and his family. The home Santos Cristobal Velasquez shares with his wife of forty-four years, Irma Romero Chica, sits on a 44-hectare farm, spotted with shade trees providing welcome breaks from the tropical sun of Nueva Guinea, Nicaragua. A 64-year-old father of three children who have also built their own homes on the family farm, Santos' family depends on this land and their cattle to provide for themselves. With so much on his plate, it’s easy to tell that he’s a determined husband, father, and rancher. 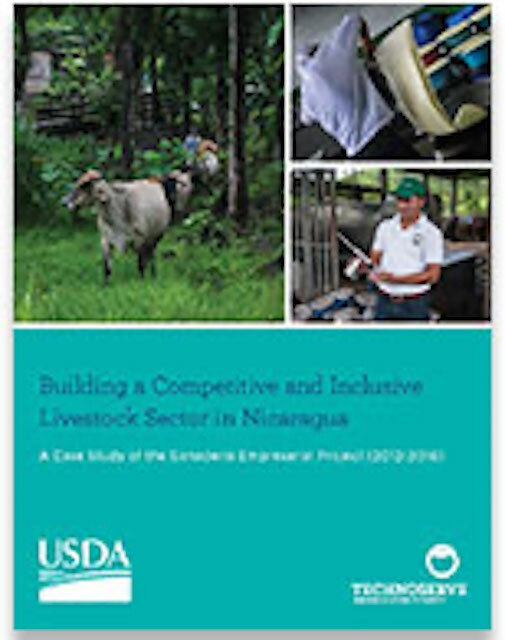 Read the complete case study: "Building a Competitive and Inclusive Livestock Sector in Nicaragua." 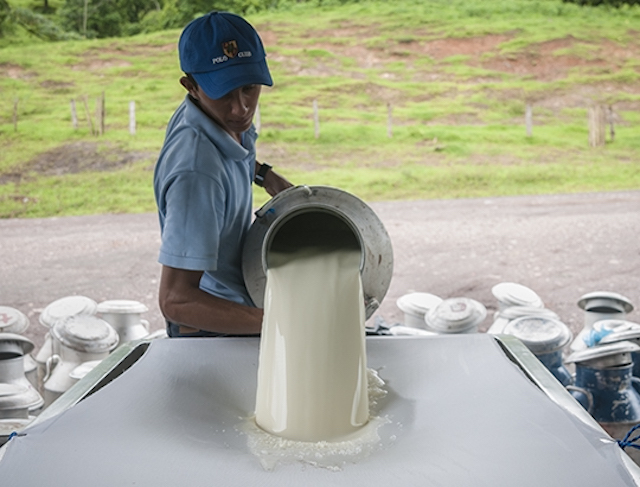 Nicaragua’s 135,000 livestock farmers – 90 percent of whom are smallholders – raise approximately 5 million head of cattle and sell milk for daily income. 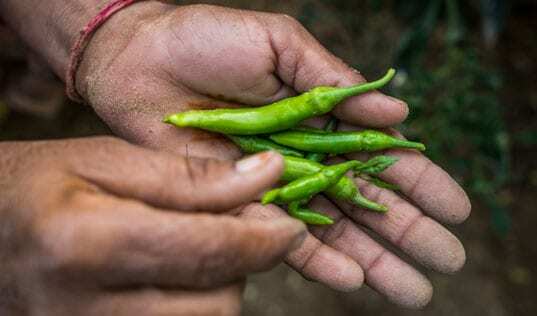 Most farmers are reluctant to invest in their production, and the industry has remained stagnant, caught in a cycle of low-cost, low-yield and low-quality production. But Santos believes that as an enterprising rancher, his family can break this cycle. Santos collaborated with TechnoServe’s Ganadería Empresarial (GANE) project to implement improved livestock production and management techniques, and ultimately increase their production and income by over 80 percent. 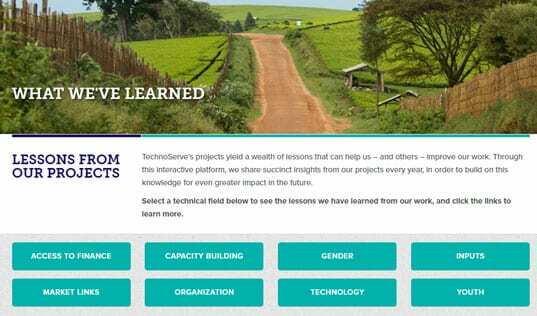 TechnoServe’s new case study recounts how this journey began back in 2012 when, after 10 years of experience working in Nicaragua’s livestock sector, TechnoServe partnered with the U.S. Department of Agriculture to launch the GANE project. The goal of the project was not only to provide farm-level transformation, but to ensure that success stories like Santos’s are sustainable. TechnoServe approached this challenge by working to make the entire value chain competitive and inclusive in Nicaragua. In the field, this meant pursuing four business opportunities in the livestock sector: improving the productivity and quality of livestock and milk produced by small farmers; increasing access to agricultural support services; improving dairy processing and expanding access to livestock markets; and developing Nicaragua’s national livestock traceability program. TechnoServe worked to increase access to inputs for farmers and cooperatives. 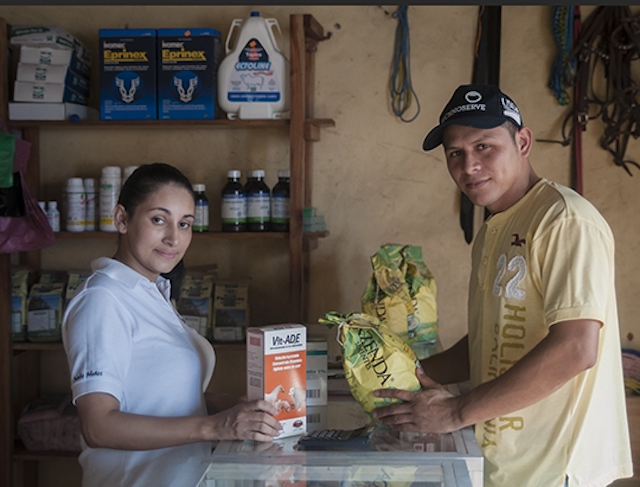 Pictured here, Noelia Muñoz sells inputs at COOSEMUP cooperative. For Santos, who only completed third grade of primary school, this meant building his technical capacity to improve the health and productivity of his herd. After attending GANE training sessions, he decided to invest in improving his farm. He planted 28 hectares of improved pastures and divided them into 17 paddocks. He also began incorporating mineral salts in what he feeds his cattle. Prior to joining the project, his cows produced 10 gallons of milk per day. Since adopting practices he learned at GANE trainings, his cows are now producing 19 gallons each day, and Santos is seeing an 84 percent sales increase. Now that his cows are well fed, they are also reproducing more often. Their reproductive rate increased from 62 to 90 percent, allowing him to increase his annual income by $2,759. 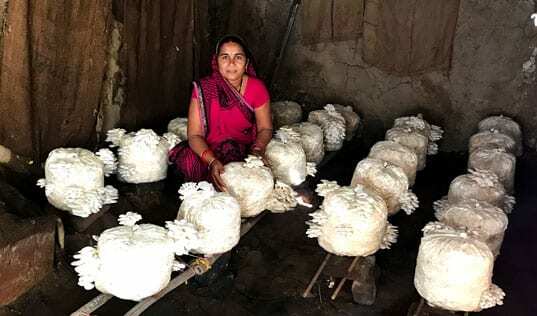 In order for farmers to invest in and maintain these best practices, TechnoServe partnered with agricultural input businesses, microfinance institutions and veterinary laboratories to connect their services with farmers, at times through their producer organizations. We also worked with farmer cooperatives and small dairy processing enterprises to improve milk collection and processing. We invested in equipment, and provided technical and marketing training to facilitate farmers’ entry into informal and formal dairy value chains. The GANE Project worked with cooperatives and small dairy processing enterprises to improve milk collection and processing. As a result of a successful partnership with a microfinance institution, Fundeser, Santos was able to get a $5,000 dollar loan he used to construct a roof over a galley under which his cattle rest, and to purchase fencing materials to construct the divisions of his paddocks. His family even partnered with neighboring farmers to purchase cables and other materials required to bring electricity to his farm. Santos shares that, “with electricity in our homes, we now feel better. My children purchased televisions and we can now charge our mobile phones every day. Before, we had to travel to town every three days in order to charge them. Today we are able to communicate better." Santos repaid his loan, and is now considering additional investments he wants to make on his farm, including the installation of a water pump to transfer water from a nearby river to his corral and to the water feeders in his paddocks, so that his cattle have fresh water to drink. These first steps toward expanding commercial relationships are what ultimately allow producer organizations to not only produce more and better meat, milk and dairy products, but to also create stable, well-paying markets in which those products can be sold. One of the most promising export products from Nicaragua to the European Union is beef, and Nicaragua began implementing a free trade agreement in 2013. However, in order to take advantage of this opportunity, livestock traceability is paramount. For GANE, a key investment in future market connections was to help farmers better access cattle traceability services. When the GANE project began, however, less than 40 percent of Nicaragua’s 5 million cows were registered in the system. 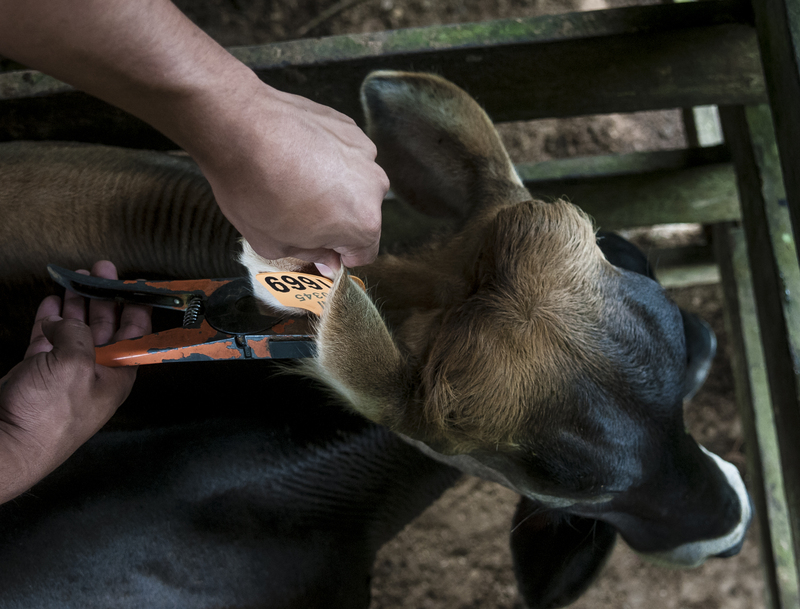 "Traceability operators" registered cattle for farmers as part of TechnoServe's effort to increase participation in Nicaragua's national livestock traceability system. TechnoServe staff in the field recognized that the registration process was too complicated and time consuming for small farmers, and we worked with the Nicaraguan government to certify “traceability operators,” which consolidate all registration processes and are in closer proximity to farmers. GANE helped 29 producer organizations and municipal offices to establish certified traceability operators, who register farms and cattle and record key information on a fee-for-service basis. Utilizing business models developed with GANE staff, these service providers helped to register 417,000 cows belonging to 19,050 farmers – that’s a 20 percent increase in the national database. This model – which can be replicated in other regions – builds a foundation for future exports to Europe and to ensuring that Santos’ farm and family will thrive in a sustainable and inclusive market. Over four years, GANE trained more than 5,500 smallholder livestock farmers, who increased their milk production by an average of 28 percent. Working with these farmers and 25 dairy producer organizations, GANE generated incremental sales worth more than $27.4 million. For more information on GANE, read the complete case study.